Before Kanye West made millions as a rapper and had a baby with Kim Kardashian, he spent his days freestyling with his mom. 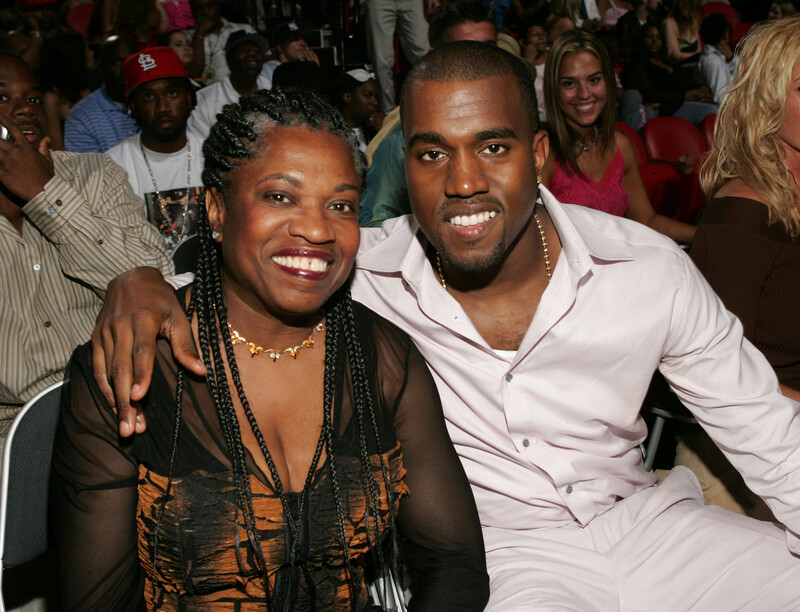 In an old video from 2003 recently unearthed on Reddit, Kanye and his late mother, Donda West, rapped one of his unreleased tracks. Back then, Donda was trying to remind then-26-year-old Kanye of the song because she thought it would be his big break. "Keep on doin’ that — that’s a million dollars," she tells him, to which he replies, "And we still ain’t made a million yet." That was the year that things changed for him, and she got to see the success of his first three albums — College Dropout, Late Registration, and Graduation — before she passed away in 2007. In the heartwarming video, Donda raps the untitled song before Kanye launches into it. Check out the lyrics below — it's a song he should definitely bring back now. "I walk through the halls of the school and it’s cool to be known by many for my rappin’ ability/ But what about the brothers who ain’t got it like me?/ Makin’ money off the trade you can say I had it made/ Drugs on the rise and it’s not a big surprise/ You see no soul in a young brother’s eyes/ Hard bottle streets but the streets are kinda hard/ But here’s another fact that we can’t disregard/ Black on Black is a stab in my back/ It really hurts my soul when I hear about that..."
After their joint rapping, they both sing and dance to his song "Hey Mama," which he told MTV he wrote in 2000, but saved it for his sophomore album, Late Registration. It seems like Donda was Kanye's best friend, and their relationship can really change the way you look at him now. Check out the full video below.